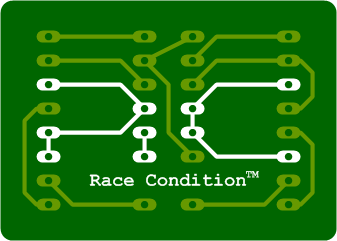 Race Condition™ is a card game inspired by computer programming. It is ideally suited for programmers who enjoy the process of writing code, as well as students who want to better understand how a program is executed. 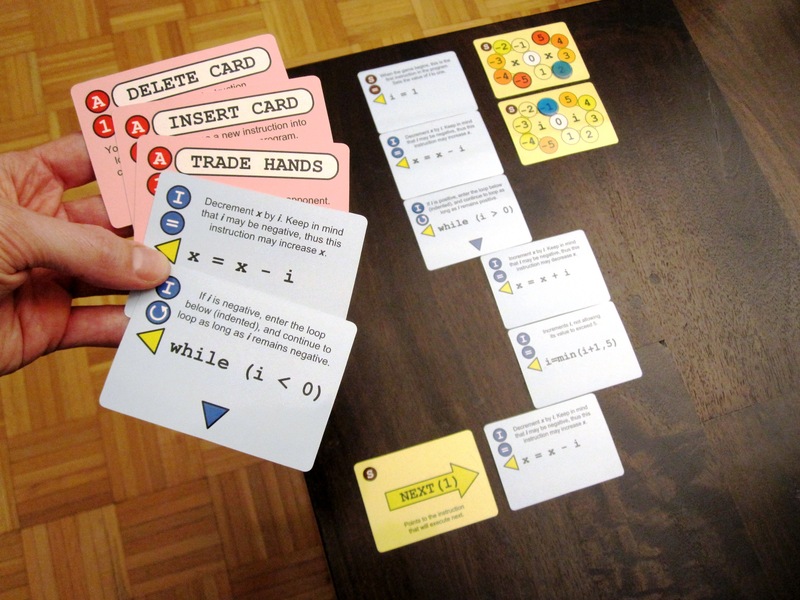 The game is played by two competing players who take turns modifying and executing the same shared computer program, represented by cards arranged on the table. The players add instructions to the program, delete instructions, move instructions, and perform other actions in order to alter the structure of the program, modify variables, and thwart the actions of the other player. 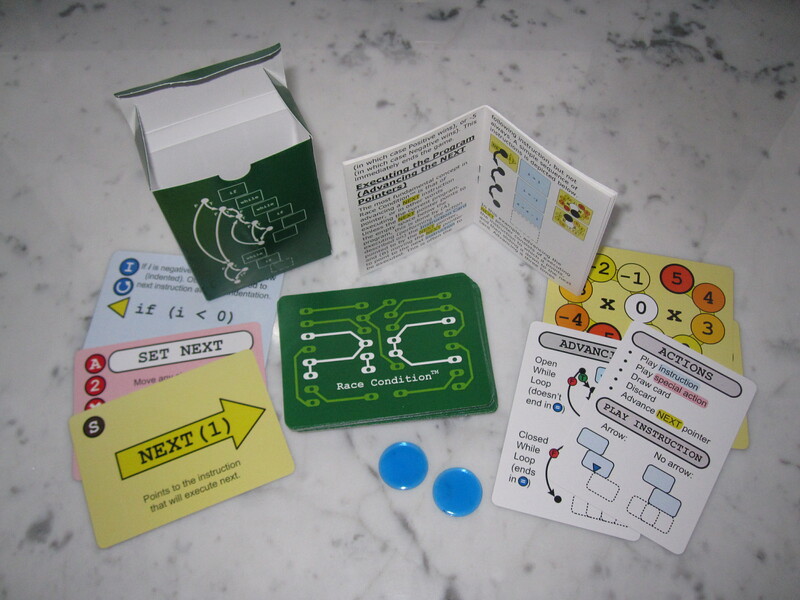 Play continues until one player achieves his or her objective of setting one of the variables to a particular value. For more info, please contact us at .